Reminder for my moon witches! With tonight’s moon phase, it’s the perfect time to perform any spells you might have been putting off or waiting to do! now is the time for magic! 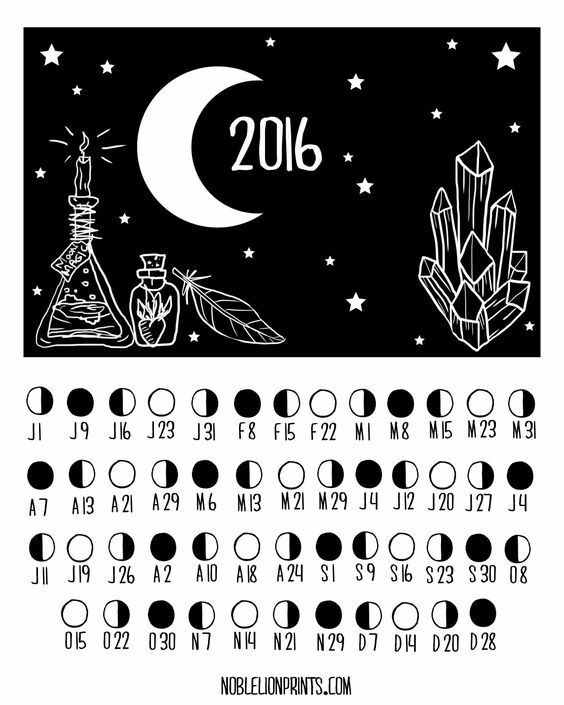 Friday September 30th, 2016 we’ll see the second occurrence of the New Moon in a single month. 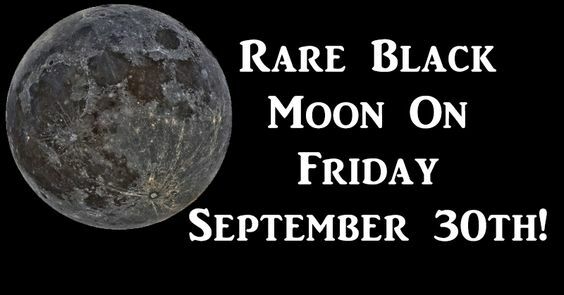 We’re all familiar with the second full moon called the “ Blue Moon” but the second New Moon also has a special name, she is called the Black Moon, doesn’t that just sound powerful and majestic? well that’s because she is! Utilize the energy of the black moon for constructive magick pertaining to:Beginnings, New projects, ideas, inspiration, vitality, freedom, Love, wealth, success, courage,friendship, and protection. New Moon offers us her energy of intention, to rid ourselves of the negative habits in our life. The energy of the new moon aids us in ridding our minds and bodies of toxic thought patterns as well as eliminating toxic substances like excess alcohol, processed foods, caffeine & tobacco usage. Starting a new project, or discipline should be substantially less difficult to stick to when started during the new moon. it’s important to come up with a ritual that has meaning for you, instead of trying to follow any set guidelines (unless you’re already part of an established ritual group). Gather Sacred Supplies: Your altar is where you collect your sacred objects – pictures, found objects and the like. Using herbs with healing or symbolic properties adds to your ritual. Stones and crystals are another powerful ally. Candles are magical, and in its form contains all four of the elements. A small journal on hand allows you to keep a record of your intentions. Grounding: This is something that’s important anytime, for staying connected to earth energy. Signs that you’re not grounded are mania, nervousness, racing thoughts and the like. Too often we forget to feel the earth under our feet. I’ve mentioned Starhawk’s grounding meditation a few times on the site, and her tree grounding exercise is one of my own daily rituals. In a nutshell, it’s visualizing the roots going down into the Earth, through the layers, into the core, and then drawing that energy back up through your feet again. It moves through each chakra, coming out the top and down around you. Try this or another variation of grounding before you set new Moon intentions. Your New Moon Wishes: After you’ve cleared a sacred space and settled your energy, you’re ready to set your intentions. Make a list of what you’d like to draw into your life, and Dream Big! The new Moon is a moment to conjure what seems out of reach, and creating the vision is the first step to making it a reality. But these are not just words on paper. As you write them down as intentions, you are committing to doing your part to make them real. Some call it co-creating, since you’re opening to universal energies to set dreams in motion. Symbolic Acts: Here’s where you get to be creative. If your intentions are to write a book, or broadcast your ideas out to the world, tie them to a helium balloon and send them off. Write them on a stick and offer it to the fire. To open to love, put lavender and a rose quartz in a small pouch, along with the qualities you’re seeking. If you’re inspired, add a symbolic act to your intention-setting ritual. “Basil is the botanical most associated with attracting wealth and prosperity. Large, fresh, vivid green basil leaves are believed to resemble cash bills. In addition, basil is strongly identified with various spirits of wealth and good fortune. The presence of the botanical beckons these spirits, together with their blessings of prosperity.